First Floor: 1463 sq. ft.
Other Floor: 868 sq. 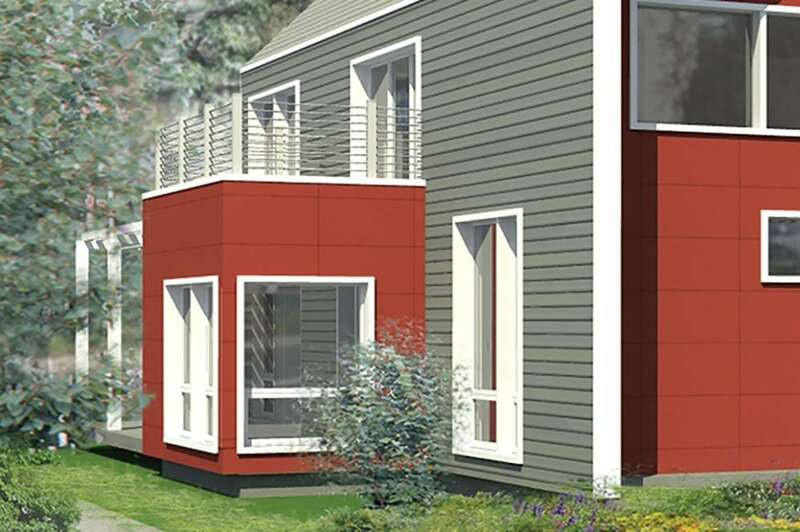 ft.
ZeroEnergy 2330 is an ideal home to replace a tear-down in a traditional urban setting. Cement board panels clad the pop-out dining area and the recessed front and rear elevations designed for privacy and shade. The side walls are shingles. Modern window configurations ensure a brightly lit interior and optimum natural ventilation. 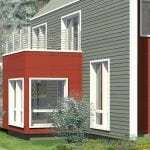 Windows are also placed for privacy as needed in a neighborhood setting. 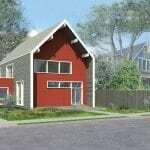 As always with ZeroEnergy, the focus is on green building and creating a healthy home with great energy performance. 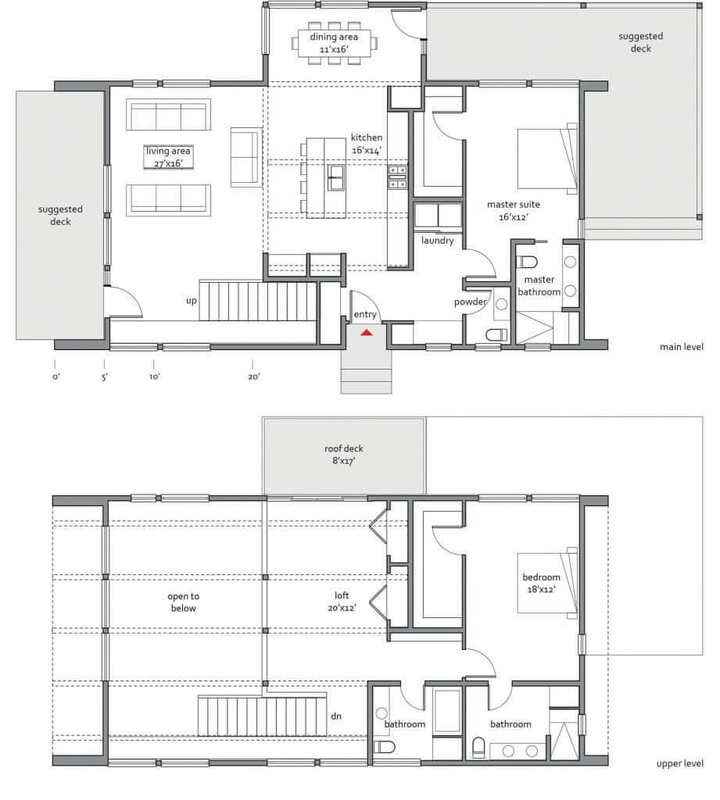 The flexible floor plan enables one-level adult living with a generous master suite on the ground level tucked privately behind the kitchen and two story living room. The upper level features another bedroom suite and an open left area that overlooks the living room. Enclose the private second story roof deck over the dining area to create another bedroom. 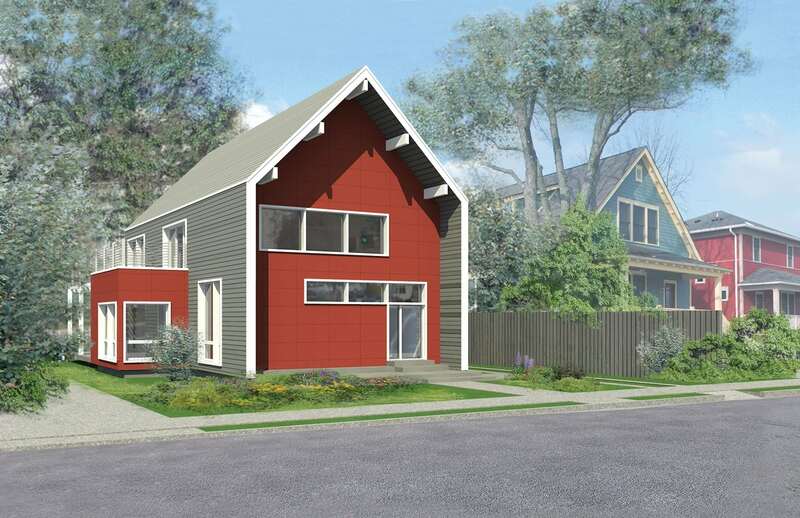 See all of the home plans available through the Lindal Architects Collaborative. View the digital version online (free with registration) or, if you prefer, purchase a printed copy of the Lindal Architects Design Portfolio plan book in our bookstore.